THESE STATEMENTS MADE IN THIS ARTICLE ARE THE OPINION OF JASON TUTT AND DO NOT NECESSARILY REFLECT THE OPINIONS OF OTHER PAST, PRESENT OR FUTURE AUTHORS AND CONTRIBUTORS OF NEEDLECHAT.COM, NOR DO THEY ATTEMPT TO SPEAK ON BEHALF OF OTHER ACUPUNCTURISTS OR THE ACUPUNCTURE COMMUNITY AS A WHOLE. The most controversial concept in all of Chinese medicine is the concept of qi (pronounced chee) flowing through invisible lines called meridians. Many wonder, how can those who practice Chinese medicine, specifically acupuncture ever expect to be taken seriously, if they believe an invisible substance known as qi that can’t be seen or measured is flowing along predefined, and also equally elusive lines called meridians? Let’s look at a couple of popular Chinese medicine websites. AcuHealing.com – For example, if the above functions are weakened as a result of the deficiency of Qi (vital energy)…. Qi is oscillation of the meridians. More precisely, qi is quantum oscillations on the system of meridians. Qi is what carries the effect of acupuncture from one acupoint to other parts of the body. SacredLotus – The concept of Qi representing a continuum between immaterial and material is not so far from the concepts of matter and energy in modern physics. What about some of the modern Chinese medicine text books, what do they have to say about qi? Qi is in a constant state of flux and in varying states of aggregation. When Qi condenses, energy transforms and accumulates into physical shape. On the one hand, there is only one Qi energy that assumes different forms, but, on the other hand, in practice, it is also important to appreciate the different types of Qi. Generally speaking, the word “qi” in traditional Chinese medicine denotes both the essential substances of the human body which maintain its vital activities, and the functional activities of the zang-fu organs and tissues. Generally speaking, the word qi connotes both substance and function. For instance, clean qi, waste qi, and qi from essence of food are material qi; the qi of the heart, liver, spleen, kidney and stomach and the qi of the channels and collaterals are functional qi. To ancient Chinese philosophers, it is the primordial matter. All substances with shape and form, such as maintains, rivers, sun, and moon are formed through the condensation of Qi. In a way, it may also be comparable to ether in the physics concept of an imaginary substance for the transmission of light and electromagnetic radiation. In ancient China Qi represented a simple understanding of natural phenomena. Already during the Spring–Autumn and the Warring States eras philosophers held that Qi was the most basic substance that constituted the world and that everything in the world was produced by the action of Qi. This conception was introduced into medical theory and became a fundamental tenet for explaining the vital activities of the human body. Today Qi is conceived as the most basic substances that constitute the human body and maintain its vital activities. In order to sustain the vital activities the body needs to extract nutritive substances from the environment to replenish Qi in the zang viscera. Without Qi these viscera would simply cease to function. Why do so many texts, have differing definitions of qi? And why do the majority of the most popular Acupuncture websites and modern text books today define qi as energy? Is there any historical basis for the definition of qi as energy? The earliest use of the word qi was found using the character 气 which translated as air or vapor. Later the character for rice 米 was combined with the character for air 气 to make a new character also pronounced qi 氣 which is the commonly used character for the qi that many modern TCM practitioners today define as energy. To date I have seen two separate theories as to the meaning of this character, and why it included the combination of two previously defined characters for air and rice. Giovanni Maciocia explains in his book The Foundations of Chinese Medicine by Giovanni Maciocia his opinion for the creation of this character. This clearly indicates that Qi can be as rarefied and immaterial as vapour, and as dense and material as rice. It also indicates that Qi is a subtle substance (steam, vapour) deriving from a coarse one (rice), just as steam is produced by cooking rice. This corresponds to: oxygen + glucose = Energy (ATP). ATP transports chemical energy within cells for metabolism. From a TCM point of view that is, inhaled air + food essence combines in the body to produce pectoral qi (zong qi) which then goes on to warm and nourish the heart vessels as well as nourish the lung and descend to the kidneys. In my opinion it’s possible this new character for qi 氣 could be describing this process instead of the explanation provided by Maciocia. Its late emergence in Chinese script in the final phase of the Zhou era (1046 – 256 BC), and its graphical composition suggest that the character (qi 氣) was introduced to denote vapors, possibly in an early physiological context those vapors associated with food. Soon enough, the significance of the new graph was extended to include a wide range of phenomena among which, at least from hindsight, a clear demarcation appears impossible. It should be noted that the interpretation of qi as “energy”, so widespread in TCM literature today, lacks any historical basis. On the level of individual concepts, one of the most commonly encountered distortions has resulted from attempts to employ a concept of ‘energy’ in order to illustrate traditional Chinese notions of human physiology and illness etiology. Historically, though, even the core Chinese concept of ch’i (qi) bears no resemblance to the Western concept of ‘energy’ (regardless of whether the latter is borrowed from the physical sciences or from colloquial usage). Several treatises in the Ling Shu suggest that the concept of qi resulted from an attempt at broadening an older concept of wind. In these Ling Shu treatises, a development is visible from the perception of wind as a demon to its perception as a nonmetaphysical agent able to cause disease to a disease entity itself. We may assume that qi, despite its many diverse applications, always referred to a vague concept of finest matter believed to exist in all possible aggregate states, from air and steam or vapor to liquid and even solid matter. Qi, which is a particularly difficult concept to translate, but is certainly not equivalent to the Western term “energy”. These errors have now been accepted into standard usage through their transcription into modern, western language, Chinese textbooks. The original meaning of jing 經, warp, had already given way in literature contemporary with the Su wen to metaphorical expansion expressing the notion of “passing through” and “main supporting structure“, as well as “vertical“. In the Su wen, mai 脈 denotes two related but nevertheless separate concepts. These are, first, assumed diverse morphological structures believed to be passage-ways of blood and qi, and, second, certain attributes of movements in, or associated with, the vessels to be discerned through vessel diagnosis. In the ancient Chinese view of human morphology and an assumed network of vessels as the foundation of organism’s physiology and pathology, the term jing 經 appears to have been chosen to denote the “main vessels”, jing mai 經脈, passing through the body (seen from a standing position) vertically. How did the idea that qi was energy flowing through invisible meridians make its way to the West anyway? This idea can be traced back to the early 1900’s when a French bank clerk who lived in China from 1901 to 1917 became interested in Chinese medicine named George Soulie de Morant. He wanted to teach Chinese medicine to French physicians, so he decided to translate the Huang Di nei jing into French and bring it back to France to spread the concept of Chinese medicine. Before his death in 1955, he wrote several books, his final book was titled Chinese Acupuncture which is full of references to energy and meridians. The meridians (jing) are the longitudinal paths. But de Morant even admits in his own book that qi was translated as energy for a lack of better word. Having observed the existence of “something” that passes through a meridian when a point is stimulated, the ancients gave this fluidity, this flux, the name qi, which we translate, for lack of a better word, “energy.” This is the prana of the Hindus. Inhalation sends the prana, the cosmic energy, into the body. Exhalation spreads the energy throughout the body. Yogis believed that the real and final aim of nutrition and respiration is to emit and accumulate COSMIC vital energy (prana). This form of yoga teaches one how to derive the maximum energy from food and air while building energy reserves. This energy improves the functions of the mind and body and can be transmitted externally to help renew those lacking it. It does appear quite readily that de Morant believed that the ancient Chinese were talking about the same thing when talking about qi as the ancient Indians were when they were talking about prana which is believed to refer to cosmic energy. Due to the similarities between the ways described for the acquisition of both qi and prana from air and food into the body de Morant likely made this connection without any actual historical basis in TCM. The term “meridian” introduced by Soulie de Morant in his renderings of the concept of jing, has been adhered to ubiquitously in Western acupuncture literature, even though it is widely known that the concept of meridians does not parallel the significance of the historical concept of jing. Aside from the stability the usage of an incorrect term may gain from decades of familiarity, meridians appear preferable to conduits because the former, in contrast to the latter, do not raise questions as to their own morphological reality and to that of the qi they convey. Hence the adherence to the term “meridian” is one example among many others of what might be called a creative reception of Chinese medicine in Europe and North America in recent years that disassociates itself from the historical facts. One theory that should be explored is whether it is possible, the ancient Chinese were referring to actual anatomy in the cases of meridians. The ancient Chinese did in fact perform dissections of dead bodies, although this was highly frowned upon. The idea of dissection and the discoveries made from dissection, believe it or not were described in the Ling Shu. Knowing that the ancient Chinese were performing dissections to evaluate quantity and condition of blood and qi, as well as document and measure morphological structures, it does seem possible that they knew much more about the human anatomy than originally given credit for as suggested by the following two researchers. In 2008, Donald Kendall shocked the acupuncture world by presenting his theory on Energy – Meridian Misconceptions of Chinese Medicine. This is a lengthy article, so I suggest you read it in its entirety, since providing a few quotes can provide it no justice. But the article describes many morphological structures that could easily account for the vessels (referred to in modern times as meridians) being described in ancient texts, and explains at least in Kendall’s opinion that this was likely the case. A second category of jingmai consist of 8 singular (奇ji) vessels to account for the large vessels running lengthwise in the body cavity as well as superficial venous networks to account for the fact there are 70% more veins in the body than arteries. The chongmai is the arterial supply for the jingmai terminating in the hands, feet, trunk, and head. The renmai drains the jingmai veins originating in the feet, hands, and head. The dumai drains veins of the trunk and the bronchial veins. Needling sites (acupoints) are best described as “neurovascular nodes” since needling response involves tissue reactions mediated by underlying fine vessels, associated mast cells, afferent nociceptive nerves, and immune complement alternative pathway participation. In 2014, Shaw et al published a paper in which they investigated the resemblance of what is agreed to be the pathway of an “extra meridian” referred to as the Chong meridian with a major blood vessel in the body known as the vena cava. The dissections clearly show that the Chōng meridian correlates to certain main blood vessels in the body, in particular the vena cava. Similarly, most Chōng acupuncture points have a strong correspondence with blood vessels, marking terminal arteries on the hands, feet and forehead and anastomoses on the face, body and feet. These findings strongly suggest that the ancient Chinese texts relating to this meridian are likely to have been a ‘description’ of the vascular system. Can we bridge other Western and Eastern concepts together? The last area I want to discuss are the similarities between substances and functions that exist within the body and the difference forms of qi described in the ancient texts. Air qi (kong qi) is received by the lungs through inhalation and is combined with Food Essence (gu qi) to form Zong qi (gathering qi). Wei qi (defensive qi) is referred to in Chapter 43 of the Su Wen as; “wei qi is the fierce qi from grain and water.” and in Chapter 36 of the Ling Shu it says “the spleen is in charge of defending (wei)”. Wei qi is often described as circulating outside of the vessels just like white blood cells can circulate outside of the blood vessels in the lympathic tissues. The Spleen in western medicine is heavily involved in the immune system and the lympathic system, and when thinking about the Spleen in TCM, a better understanding can be found if one combines both the functions of the Spleen and Pancreas. Ying qi (nutritive qi) is described in Chapter 5 of the Ling Shu as something that organs receive nutrients from due to the circulation of qi and blood. The primary purpose of plasma is to transport nutrients, hormones, and proteins to the parts of the body that need it. Yuan qi (original qi) is often referred to as congenital qi or prenatal qi and it is said to be acquired from your parents kidney qi. The state of the yuan qi decides the state of life. This is virtually identical to your genetics. When the qi (function) of the Spleen (Pancreas) is deficient, the spleen (Pancreas) is unable to perform its functions of digestion. Unconsolidation of the kidney qi (function), a condition due to kidney–qi deficiency, manifests as urinary incontinence, frequent urination, soreness and weakness in the bladder. When Lung Qi (function) is Deficient, there is tiredness, weakness, cough, sweating and a propensity to catching colds and flus. Impaired lung function results in lower amounts of oxygen and can result in tiredness and weakness. This can affect your immune system and predispose you to colds and flus. I think you’re getting the picture by now. There were a lot of concepts that the ancient Chinese still did not understand completely as we do today, and in my opinion, it is certainly possible that the qi being described in the ancient texts was not what we refer to today as energy and may have been more of a more broad term to describe substances, functions and processes that they did not fully understand at the time. Also, jing mai often referred to as meridians or channels may have been morphological structures observed by ancient Chinese during dissections. CONCLUSION: In the original texts of the Huang Di nei jing, qi is rarely if ever referred to as a sole entity, but rather as an addition to a separate concept like wei qi, yang qi, qi of spring, yin qi, ying qi, rong qi, etc….. And meridians are referred to as vessels which according to some like Kendall have striking resemblances to large blood vessels or nerve pathways in the body. It is my opinion, that the ancient Chinese were not referring to energy when they were describing qi and meridians. But, even if they were, I think there are enough similarities between the different forms of qi described in ancient texts and known western medical definitions of processes, substances and functions such as the examples given above to call into questions this belief that we are manipulating energy with needles. 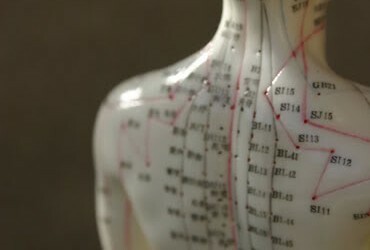 It is of my opinion, that continuing to rely on an outdated theory that was possibly distorted by mistranslations or a fascination with mysticism in the western world is but a hindrance on the field of acupuncture that only makes the profession look pseudoscientific and will likely never be taken seriously until this theory is abandoned.